Posted byadmin	 24. 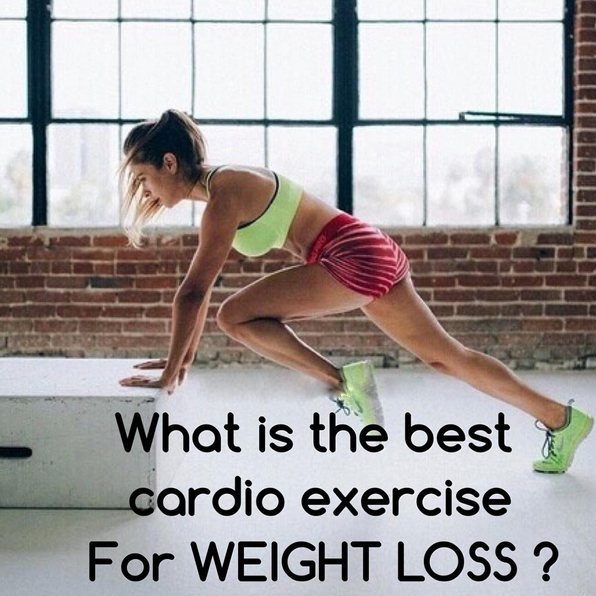 April 2016 Leave a comment on What is the best cardio exercise for Weight Loss. The best cardio for burning off that stubborn fat will have you in the gym shorter than you’d expect. This cardio is called HIIT-High Intensity Interval Training. The concept is pretty simple. You transition from low-moderate intensity intervals to very high intensity intervals. If you judge by the readout on the given exercise machine, you might assume that going at a low intensity for 30-45 minutes would burn more calories than 15 minutes OR LESS utilizing HIIT. This is not true, however, as many of the calories you burn come after you leave the gym (When performing HIIT). 15 minutes may seem to good to be true to lose weight, but it is not. However, you must keep in mind this is no walk in the park. This is very demanding, but extremely rewarding and time-saving. HIIT will support your metabolism so that you are burning calories later in the day. You will burn fat if calories out exceed calories in, and you will expend more calories by choosing HIIT.